If you’re anything like us, you don’t leave the Lyceum without picking up a bottle of Dube & Robinson local hard cider for the weekend. It’s perfectly dry, slightly bitter and just a bit sour. 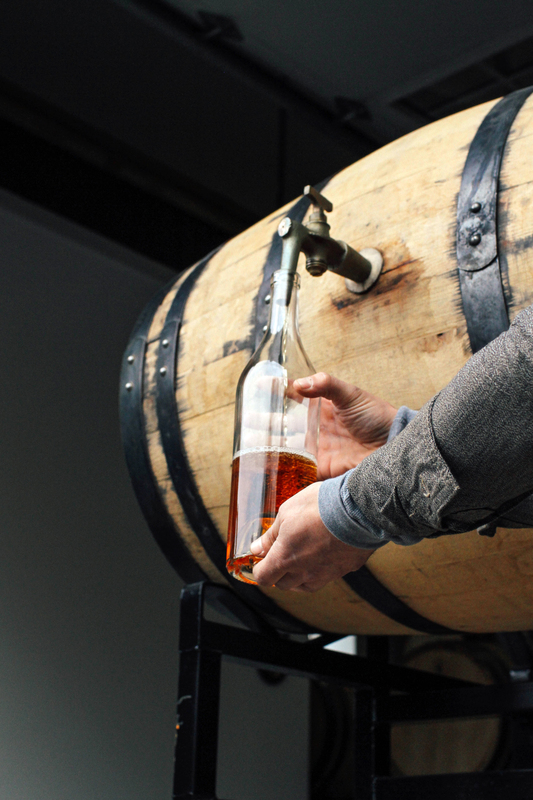 Their label reads “So Local” and their cider is just that – so local. Using wild apples grown in Tamworth, and surrounding communities, Eric Dube and Will Robinson hand pick, press, and blend their cider. Wild apples are far more interesting than the common dessert varieties that are available in most Northern New England orchards today. 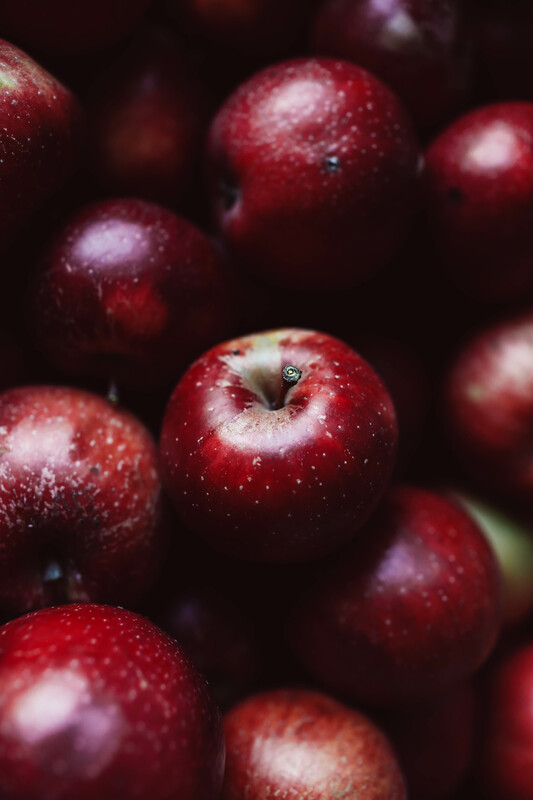 When sweet cider is fermented much of the flavor can be stripped away in the process, so it’s important to use apples with more acidity and tannins found in “eating” varieties. These prime cider apples are not very palatable if eaten on their own, but they make delicious cider! 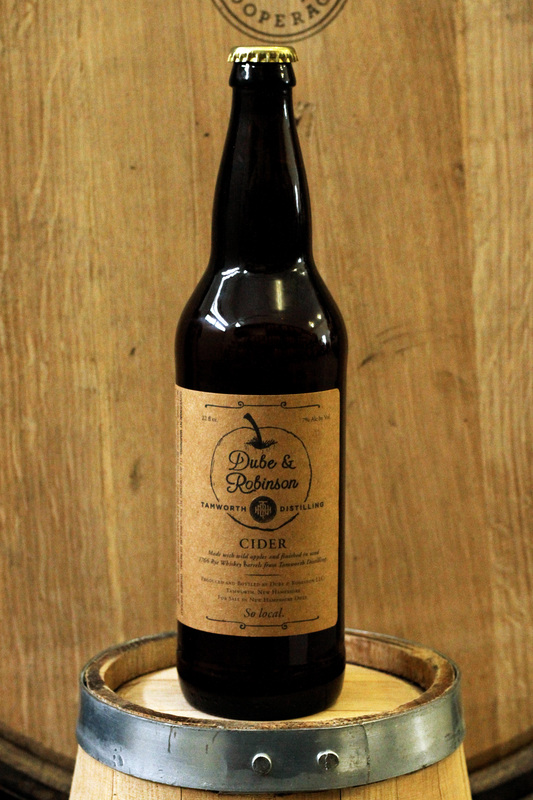 Dude & Robinson operate in an extremely small cidery and approach hard cider production in a very unique way. 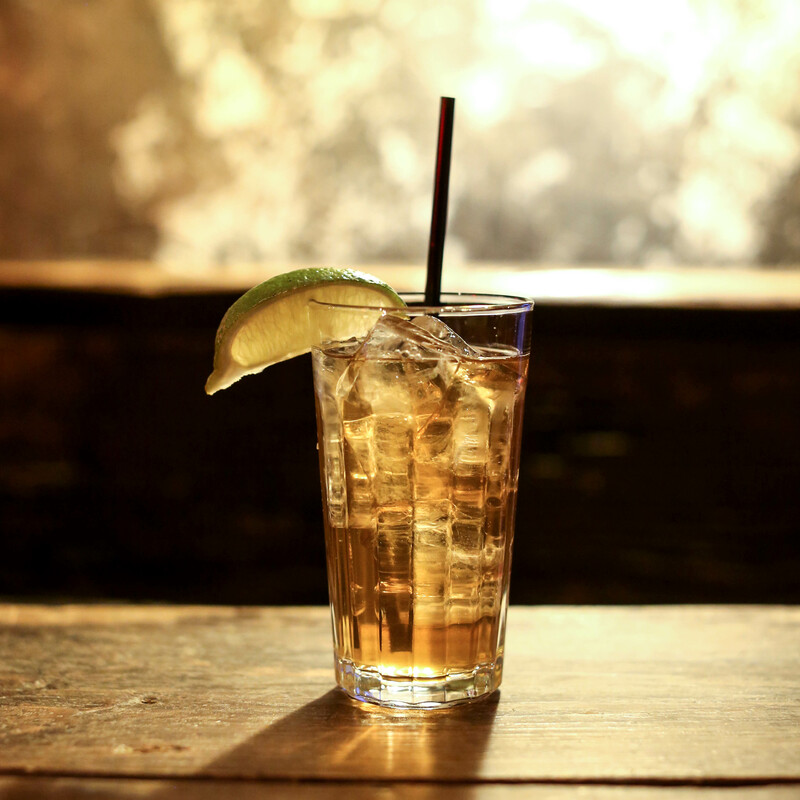 Similar to how many distilleries purchase spirits in bulk, many cideries opt to do the same, but not here. 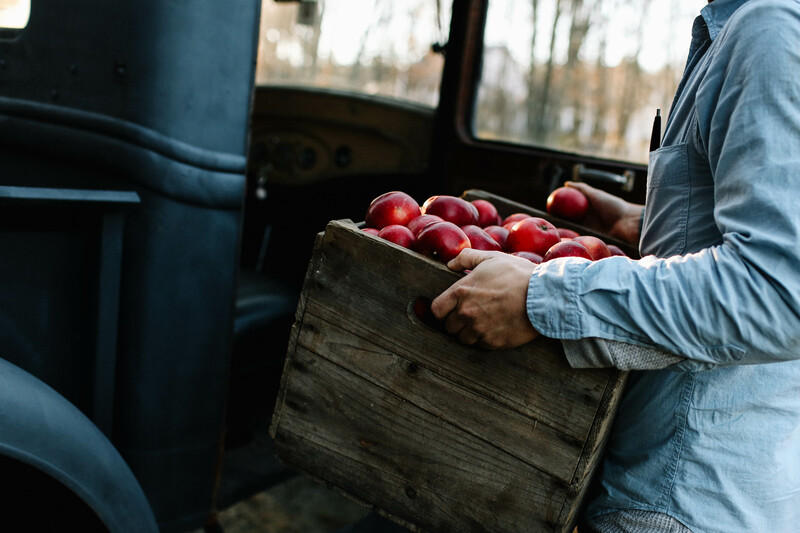 The guys at Dube & Robinson chose to put in the extra work by pressing their apples in-house. 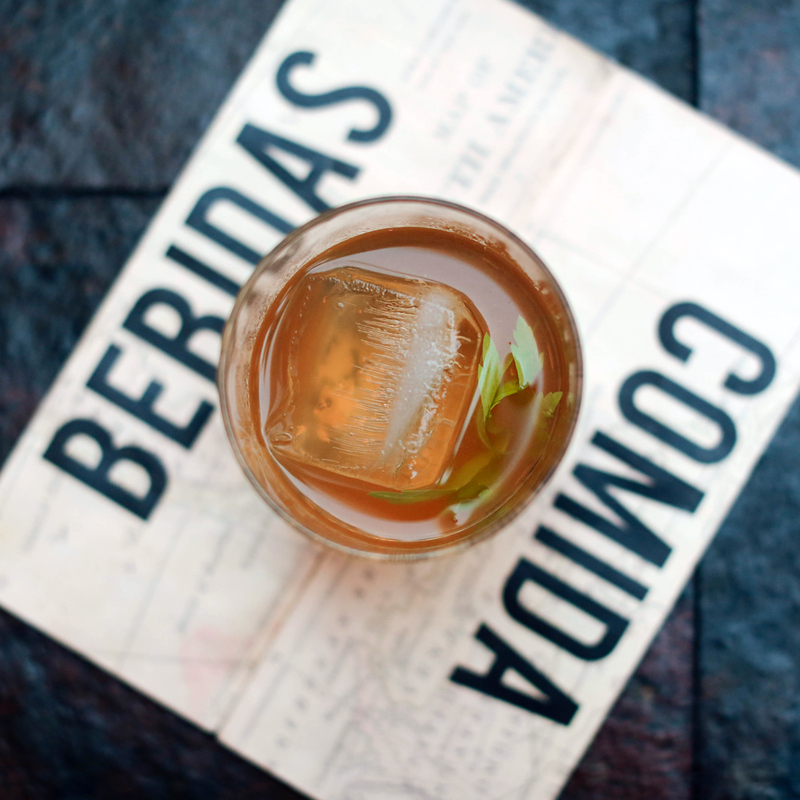 That offers greater control over their blends, which enables smaller artisanal pressings. Last October (2016) we released a limited run of our very first aged rye whiskey in celebration of the 250th Anniversary of the town of Tamworth. 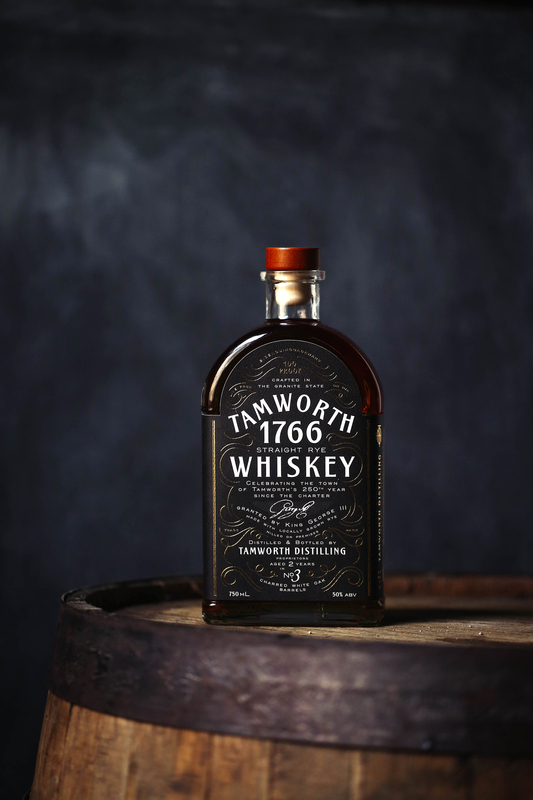 Only 250 bottles of Tamworth 1766 were released and it sold out almost immediately. 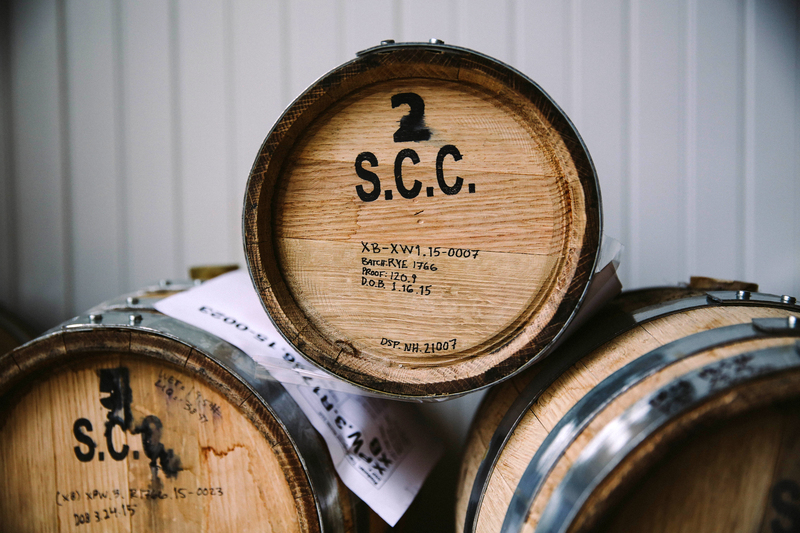 Much like our spent grains, which are passed along to local farms for animal feed or recycled into delicious crackers and bread, we wanted to give a second life to our used barrels. That’s where Dube & Robinson comes in. With a shared love of using what we have on hand here in Tamworth, New Hampshire, we decided to join forces to create a unique cider that’s ready to drink in a 750ml bottle. The 1766 cider is truly Tamworth Terroir. 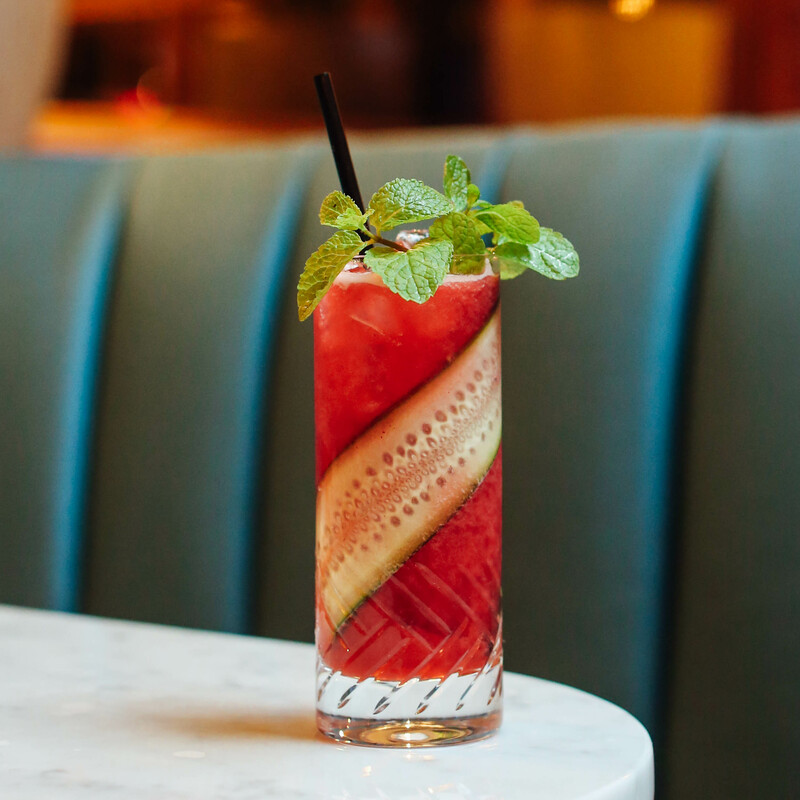 All of the apples for this blend are from within 15 miles of the the Village, pressed by Dube & Robinson, and aged in recycled barrels from our Tamworth 1766 Whiskey. Only 240 bottles were made and will be released at Tamworth Lyceum on Friday January 27th. 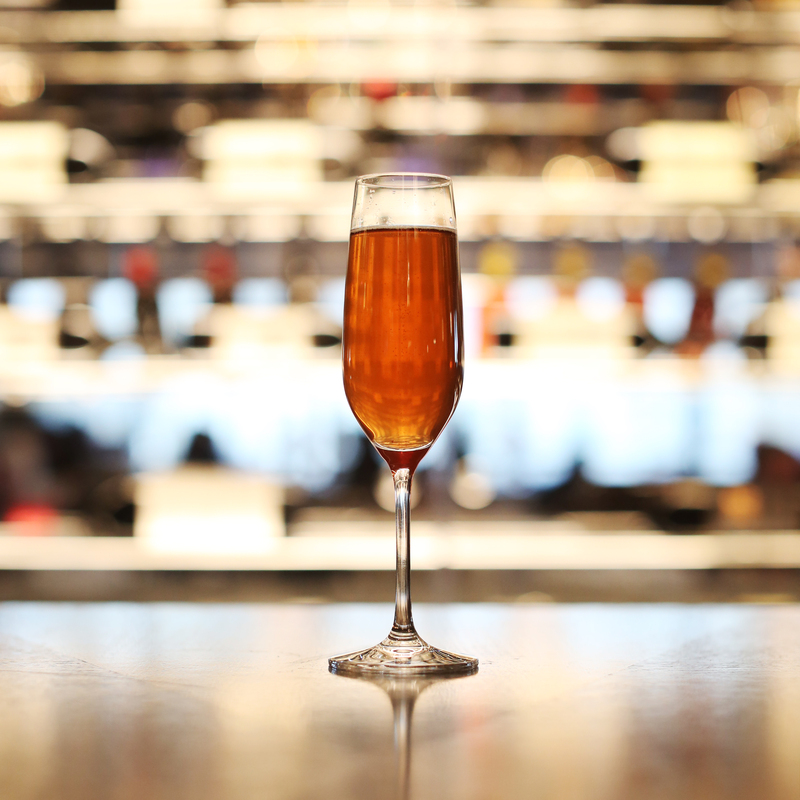 The celebration of Tamworth continues with 1766 Cider – Cheers! For more information on Dube & Robinson, visit their website by clicking HERE. Tamworth Distilling spirits are popping up on cocktail menus in cities from Boston all the way down to Philadelphia, so we took a little road trip down south to taste our way through the beverage menus of some of the top bars and restaurants in Brooklyn & Manhattan. 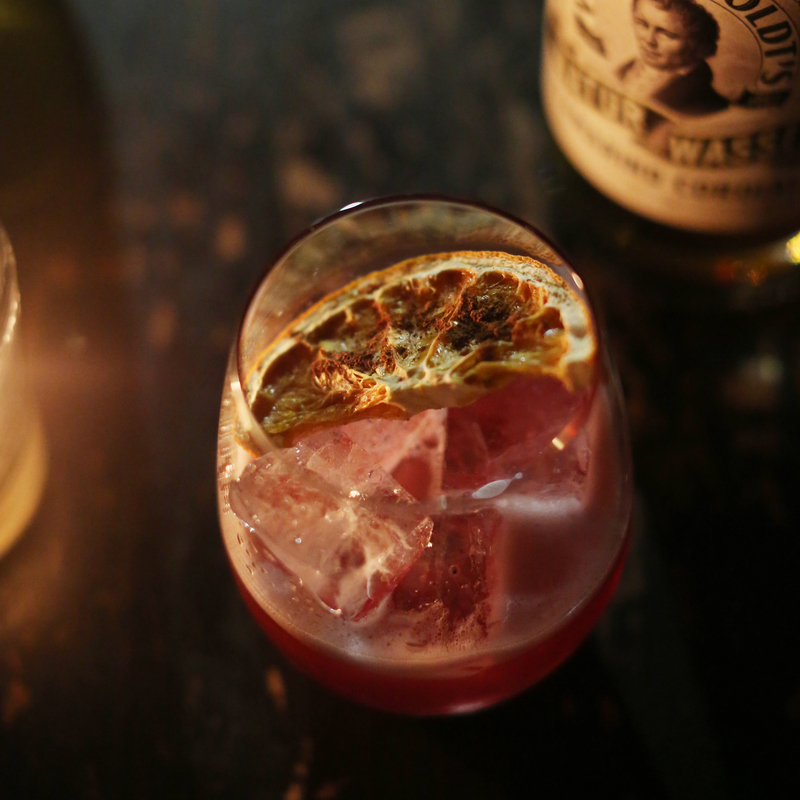 Below are some of our favorite cocktails featuring Camp Robber Whiskeyjack, Von Humboldt’s Tamarind Cordial, and Art in the Age Beet Root Vodka. 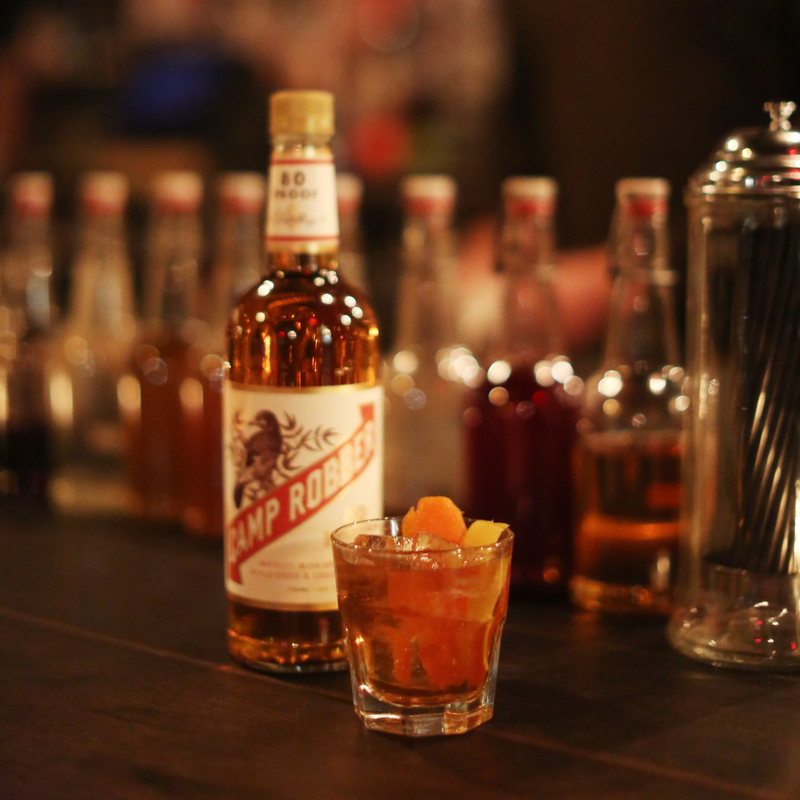 Camp Robber, smoked maple bitters, bbq bitters, orange bitters, stirred, rocks with a lemon and orange twist. 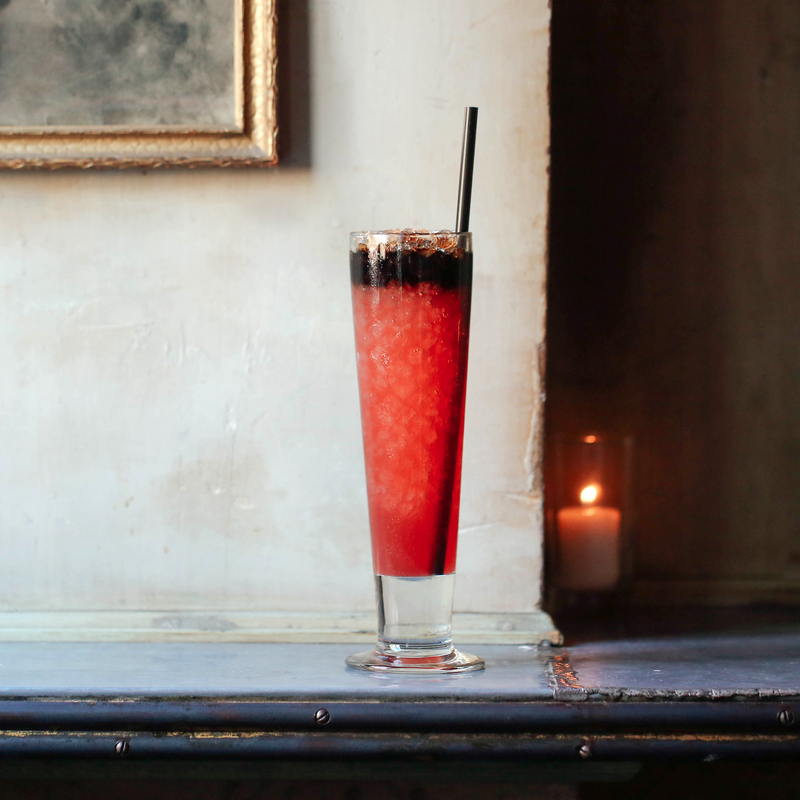 Art in the Age Beet Root Vodka, purple carrot, fresh pineapple juice, lemon juice, basil seed caviar, & pickled carrot. Von Humboldt’s Natur Wasser Tamarind Cordial, Sotol, orgeat, lemon blanc vermouth, celery bitters.